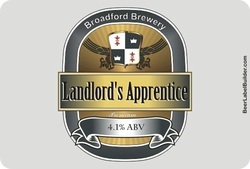 Beer name: Landlord's Apprentice. This was my first AG brew day, but I was only assisting another craft brewer, therefore technically not my brew and I was only the 'brew-monkey'. 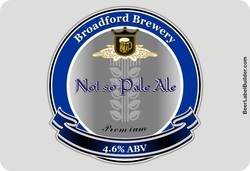 Beer name: Broadford Pale Ale became a 'Not So Pale Ale' due to the additional crystal malt and trying a reduction of the wort. Beer name: Retweet Summer Ale... I'm a twitter geek, what more can I say!